The City of Phoenix is seeking community feedback on what residents, business owners, and other interested persons would like to see happen on and around the northeast corner of 2nd Street and Portland in the Evans Churchill and Roosevelt Row neighborhood. See photo below. 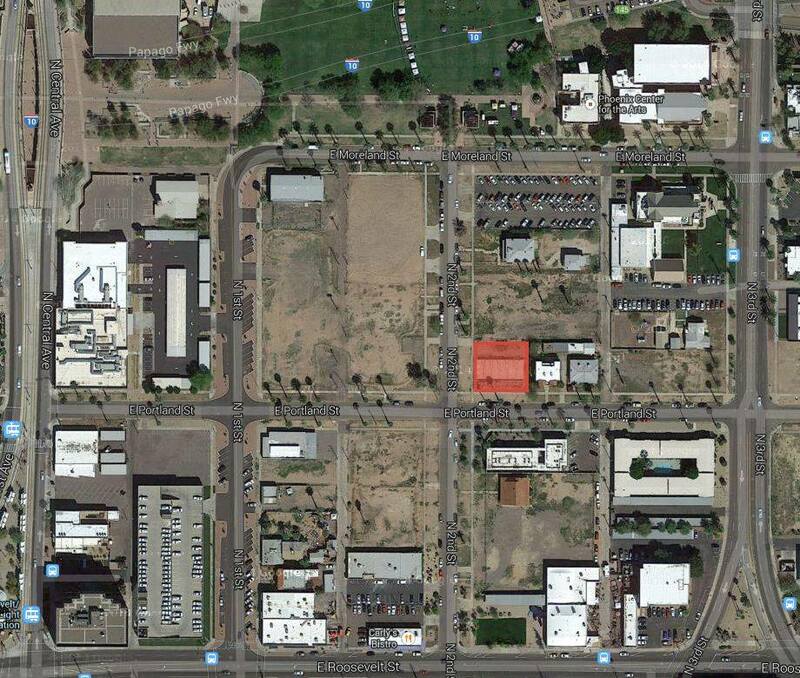 The reason: the City wishes to issue a Request for Proposal (RFP) for the parcel that now stands empty. The City welcomes your ideas on what uses are needed at the individual parcel and neighborhood? What uses should be discouraged? What other issues should be addressed in the RFP or the evaluation criteria to help prioritize. There are several ways to provide your comments: (1) add a note to this Facebook post or (2) send an email to info@evanschurchill.org. The Evans Churchill Community Association board of directors will then compile the responses and present to City of Phoenix employees working on this project. It would be great if you could send us your thoughts by close of business, Monday, August 25. You will also have the opportunity to comment on the proposed RFP when it is first presented to the Phoenix City Council Downtown, Aviation & Redevelopment Subcommittee on Wednesday, September 3, at Phoenix City Hall. This meeting starts at 10 a.m.
Posted on August 22, 2014, in Downtown Vitality. Bookmark the permalink. Leave a comment.